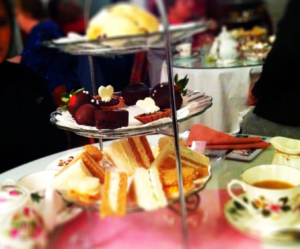 Learn more about how The Tea Trolley has been using SalesVu POS system: Gift Card solution for the Holiday season! 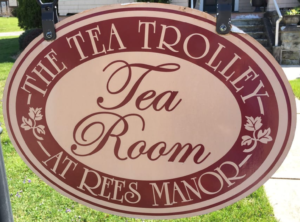 The Tea Trolley offers a variety of teas that you can enjoy with their delicious homemade desserts, scones and sandwiches; they also own a gift shop where you can get some beautiful merchandise. 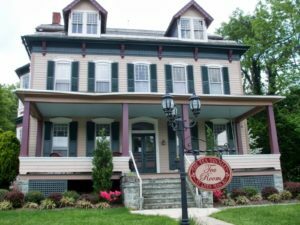 This tearoom is characterized by their gorgeous location which is a restored Victorian house in Delta, Pennsylvania. Business owner, Rachael Cox, sat with us and told us her story with the software and how some SalesVu modules have helped her business. QuickBooks was the first point of sale system that she tried, the reason for a change was to get rid of the paperwork and find a POS software that was able to add gratuity in an easy way. Rachael started her journey with SalesVu 3 years ago and discovered that that system had great gift cards, inventory and tip/gratuity capabilities. The greatest advantage that the staff noticed was that you can scan a gift card to sell it and redeem it. Balances deduct automatically and are saved on the back end for reporting and controlling purposes. With the physical gift cards, you can add the receiver on the POS right away, or if you prefer the online version, you can send it by email, on that email there will be a unique code that customers can later redeem in the business. Rachael decided to implement this feature about a year ago for the Holiday season and she has definitely seen a moderate increase in sales ever since. Another module that has been very helpful for the retail side of the business, is the inventory module. They mainly use it to see the products that they have on stock and to check the cost of inventory and profitability of their merchandise. In addition, they use this module to create purchase orders and send them to their vendors. This particular feature has eliminated the use of paper and spreadsheets and it is integrated with software. After creating the PO, she is able to receive it right from the web portal, inventory updates automatically and a report for open and closed orders is available. SalesVu has proved to be an all-in-one management solution for this fantastic tearoom! 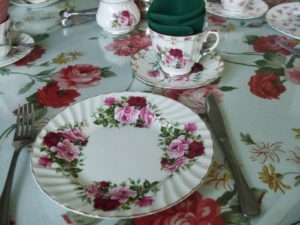 If you want to have the experience of an afternoon tea, go ahead and check their place, you’ll definitely have a wonderful evening with their lovely staff. 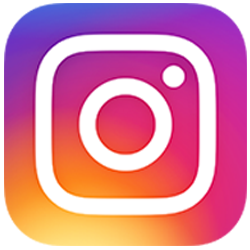 Follow them on social media below! ← Learn more about how SalesVu POS system and TownVu are helping Wea Creek Orchard!